Bangladesh should put more efforts to address inequality and corruption in its fight against poverty, analysts said yesterday. They said disparity, bad governance and graft have emerged as serious challenges for the country, which has made commendable achievements in bringing more people out of poverty trap. 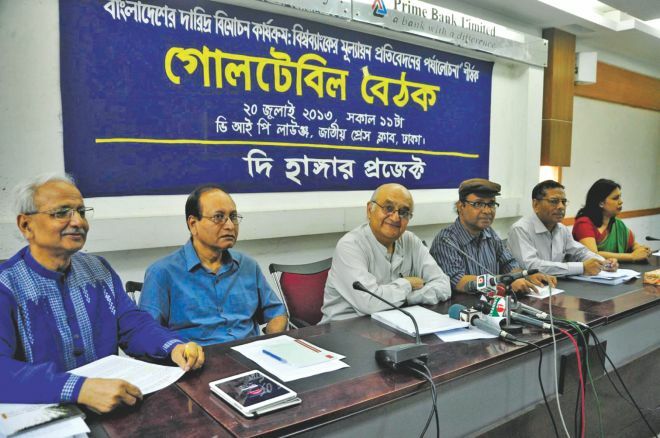 They spoke at a discussion — Bangladesh’s poverty eradication efforts: evaluating the World Bank’s assessment report — at the National Press Club in Dhaka. 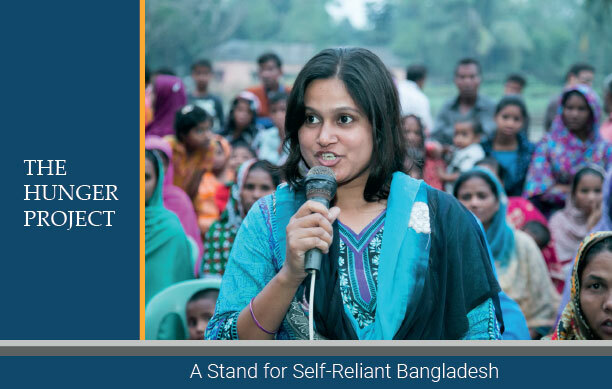 The Hunger Project-Bangladesh, an NGO, organised the programme, a month after the Washington-based lender released a report — Bangladesh Poverty Assessment: Assessing a Decade of Progress in Reducing Poverty, 2000-2010. Despite a growing population, the number of poor declined by 26 percent in 10 years, bringing their number to 47 million in 2010 from nearly 63 million in 2000, according to the WB report. MM Akash, a professor of economics at Dhaka University, said the WB report gave a positive picture about the country’s economy following many years of negative outlook. He said the country will have to pay attention to policy issues to cut poverty further. Prof Rehman Sobhan, chairman of Centre for Policy Dialogue (CPD), said the report should have come up with policy suggestions and presented serviceable recommendations for the country, so their implementation could bring structural changes to the lives of the poor. He also urged the WB to launch such projects that would provide the farmers with equitable market participation. The economist criticised the market system where workers are hired and fired at will of the employers. Sobhan also said the WB should devise a solution that gives workers a greater participation in the production process and the market on more equitable terms. Iffath Sharif, senior economist of the WB and co-author of the report, called for greater attention to the farm sector to accelerate the poverty reduction efforts. She also pointed out the role of the women in the labour force for the country’s achievement in cutting poverty well-recognised by global bodies such as the United Nations. “But girls getting married at early age could pose a serious threat to the poverty eradication efforts. We have to address it,” she said. CPD Distinguished Fellow Debapriya Bhattacharya said he wished the planning commission of the country had prepared the report, as the WB made the report using data from Bangladesh Bureau of Statistics. He said the country will have to emphasise on achieving 7 to 8 percent GDP growth to speed up the poverty reduction efforts. “We will have to focus on the industrial sector and ensure that farmers get fair price for their crops,” he said, adding that the downcast rate of domestic savings has to be raised. He pointed out that the WB report lacked discussion on the government’s policy issues such as good governance or whether non-government development partners are contributing to the development of the country. Mustafa K Mujeri, director general of Bangladesh Institute of Development Studies, said the country will have to address the inequality and corruption issues to bring more people out of the poverty trap. CPD Executive Director Prof Mustafizur Rahman said Bangladesh could follow a food security bill introduced in India, which will help the country lower the poverty rate further. He said although the difference between poverty rates in the eastern and western parts of the country has narrowed, still a 7 percentage points gap exists between them. “Studies show that when the level of inequality is low, a 1 percent rise in GDP growth contributes to 4 percent cut in poverty rate,” he said. Both Rahman and Bhattacharya warned about budget cut for the social safety net programmes, which, they said, could push many into poverty. Badiul Alam Majumdar, country director of the Hunger Project, a global, non-profit organisation committed to the sustainable end of world hunger, also spoke.